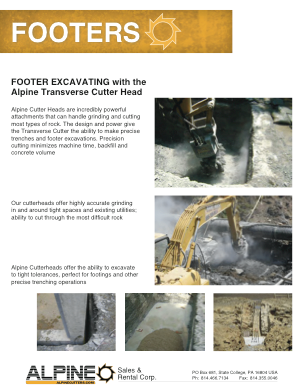 Learn how ALPINE cutter heads can boost operational efficiency in your footer excavation application. With unrivaled precision and efficiency, ALPINE equipment is sure to be an asset in your next excavation project. Download the free application sheet!